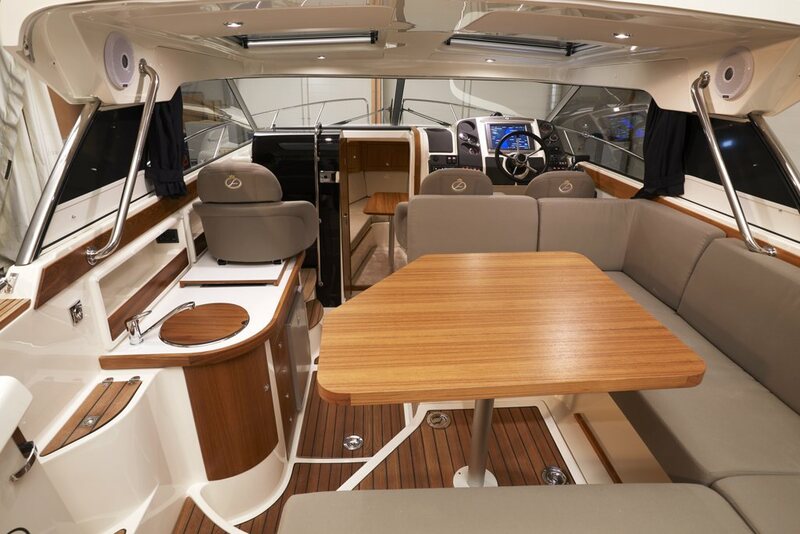 Loaded with outstanding amenities and utterly modern, this immaculate hardtop perfectly exemplifies Aquador’s eternal quest for perfection. The clever use of interior space, safe and easy access above and below deck, and a stable hull make on-board living agreeable and cosy in all weather conditions. Such attributes add greatly to the boat’s ever-growing appeal, making it a serious choice for boaters who relish longer excursions.